There are many detox diets on the market, but are any of them a healthy detox diet, and if so, do any of them really work? There is a lot of talk about just how effective detoxing is in general, so you may be concerned about finding a detox diet that is going to both work and be healthy. Your whole goal with detoxing is to remove the “toxic load” from your system so you can get healthy and feel better. The last thing you want is to end up feeling worse from an unhealthy detox, or at best wasting your time and money. The best way to ensure that you are following a healthy detox diet is to get informed. You should find out what risks are associated with detoxing and how you can minimize those risks. This information will help you to be able to choose a healthy detox diet. One of the concerns about detox diets is that while they cleanse your body of harmful toxins, they may, at the same time, strip your body of nutrients that you need to be healthy. To avoid this you have to find a detox diet plan that includes healthy foods and perhaps supplements that will ensure any depleted nutrients are restored quickly to the body. There is also concern about wasting your time and money on detox diets that may do nothing but add more toxic load to your body. In order to ensure that your body is getting everything that it needs without any extra garbage you should look for a detox diet that includes plenty of fresh ripe and organic when available, fruits and vegetables, particularly leafy greens or their juices. The length of time a person follows a detox diet is also important. A healthy detox diet will not be too restrictive for too long of a length of time. For example, a diet that is very strict, where you only drink juices and water, should only be followed for a few days unless you’re supervised by a professional. Diets that allow you to eat whole fruits and vegetables should be okay to follow for a couple weeks. You should always listen to your body during a detox. It is normal to feel a lack of energy and to feel tired at the beginning of a detox diet, but you should never feel completely fatigued or sick. If you feel this way then you should see a doctor and end your detox diet. On any detox diet you will completely cut out all nicotine, alcohol and caffeine. Doing this may lead to withdrawal symptoms, but these withdrawal symptoms should not be confused as side effects of the detox. You are, actually, detoxing from the harmful substance to which you are addicted and that is a good thing. While generally, you should feel good during a healthy detox diet and you should end up feeling healthier than when you started, there are some cases where a person may not feel too great throughout the detox. These situations can come up for anyone when the toxic load is releasing quicker than your body’s elimination system can keep up. Which brings us to an important subject, it’s very important that your bowels are moving regularly during any detox diet, and that means at the very least once per day, preferably two or three times. Another important component to any detox plan is rest. Your body is doing extra work during the cleanse so it is important to help out by resting and conserving your energy for detoxifying. As you can see, choosing a healthy detox diet is a matter of being smart. You do not want to deprive your body during the process, so choose a detox diet that includes good food choices that give you the nutrients that you need, and ensure that it is for a reasonable period of time. In the end, you should have no problem finding a healthy detox diet if you follow these guidelines. 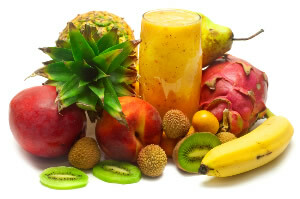 The articles below contain a variety of detox recipes for you to choose from.